Lately, I rediscovered Four Tet and the album New Energy. Incredible and inspiring companion for concentrating on drawing or painting. Or just being. 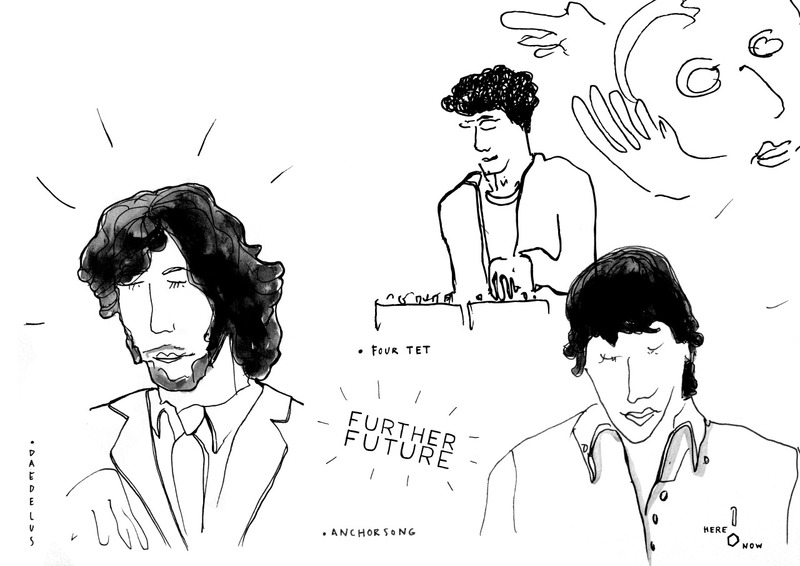 Illustrating this recommendation with drawings I made at Further Future, where Four Tet, among other great artists, played live.